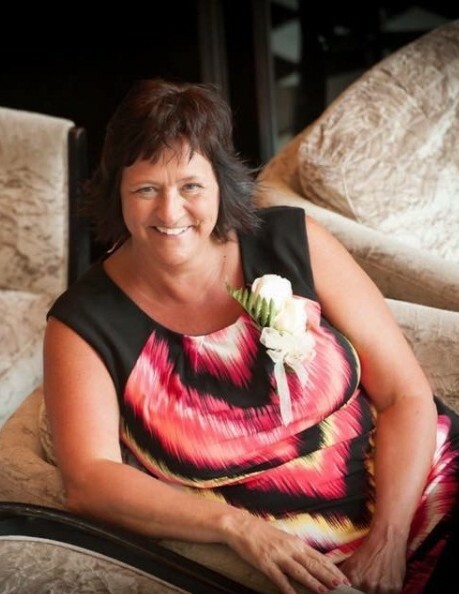 Kimberly Robyn "Motor" Hart, age 55, of Owingsville, passed away June 14, surrounded by loved ones. She was born on September 10, 1962 in Cincinnati Ohio to the late Bobby Dotson Swartz and Myra Sue Ferrell. Robyn was an employee of the United States Postal Service for over 30 years. She loved to go to the lake and boating. She also enjoyed playing golf. She has been described as the best Mommy, Sister, and Nanna Motor in the world. Family was very important to her and she cherished spending time with them. She was very happy and loved to travel. She was known for being an advocate for what is right or wrong and always took up for her children. She was a kind person with a cheerful spirit, a loving heart and a beautiful smile. She will be missed by all. She is survived by one son, J.D. (Mikayle) Hart of Paducah; Two daughters, Lacey (Randel) Hart Arnett of Mt. Sterling, Kelly (Kevin) Hart Muha of Lexington; One stepdaughter, Ashlea (Jason) Hutchinson of Sharpsburg; Three brothers, Bobby Swartz of Sharpsburg; Mason (Vickie) Swartz of Frenchburg; Kevin (Teresa) Swartz of Owingsville; Two sisters, Pam (Robert) Farmer of Owingsville; Jenny (Chris) Swartz Carroll of Paducah; Twelve grandchildren, Adam Hart; Kendall Walker; Cooper Ranvier; Kendall Ranvier; Mollie Arnett; Will Arnett; Maddie Williams; Emily Williams; Elana Williams; Lydia Arnett; Caleb Crouch; Carlea Hutchinson; Special Friend, Ricky Gorrell ; Several Nieces and Nephews. She was preceded in death by her parents, Bobby Dotson Swartz and Myra Sue Ferrell, Her Spouse, James Lacey Hart. Visitation will be Friday June 15, from 5-8 p.m. at the Richardson Funeral Home. Funeral will be Saturday June 16 at 4:00 p.m. at the Richardson Funeral Home. Burial will follow at the Ferrell Cemetery. In lieu of flowers, the family request donations to be made to the Breast Cancer Research Foundation.